In 2009, the Family Council coordinated with the then-Executive Director of The Fairfax, Amy Adams, and Sunrise Corporate to get wi-fi for the Health Care Center (HCC). 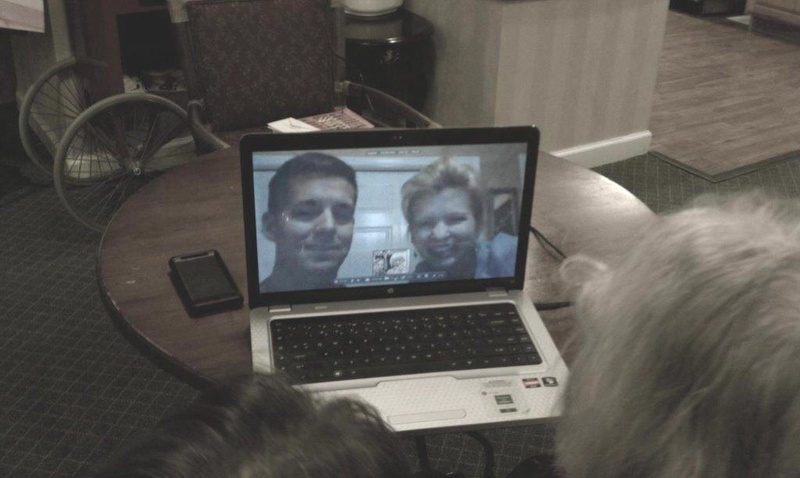 HCC residents utilize wi-fi technology to “visit” with their remote families in real-time, via webcam and laptop, as shown below, with the Glick family. shared with families in Idaho, Georgia, New York and California. SKYPE, Facetime (for Apple) or Google+. (1) LOGIN: Sunrise (Capital “S”) and PASSWORD: sunrise1 (lowercase “s”).